K-Tech SSK piston kits are available to fit most front fork cartridge damping systems and have been designed for road and track use to give enhanced damping control over the original equipment, giving comfort and confidence to the rider. 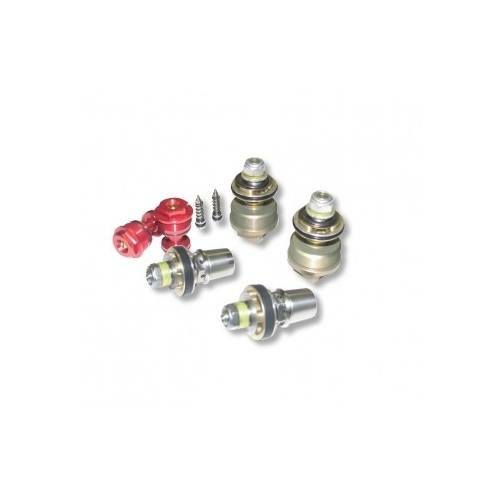 All piston kits are supplied as a complete assembly for ease of fitment with new control valves and needles to give a more precise range of adjustment. This kit includes Flow Control valves (FCV) for additional precise and wider range of compression damping adjustment. The SSK Piston kits are only available through K-Tech authorized dealers who have been trained to install these products, there are specialist tools and techniques required to guarantee performance and safety of this product.